Oak has traditionally and widely been regarded as the King of temperate hardwood species due, not only to it’s substantial shade offering canopy of this magnificent tree but also to the natural beauty of it’s timber; it’s strength, durability, and wear characteristics. 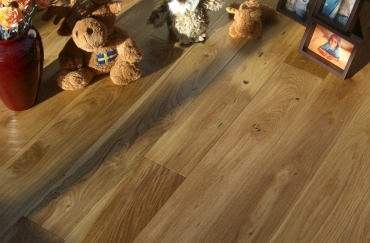 Oak is a classic and timeless species that has been used for centuries in joinery, boat building, fencing, furniture. With it’s high tannin content, Oak will corrode steel nails and screws, so the use of stainless steel or brass fixings is advised.